If there is one thing that Greeks love more than anything, it’s celebrating life! And all summer long, locals gather to honour the country’s music, food, wine, and dancing and singing traditions. Most of Athens’ festivals are religious ones, and many are celebrated nationally, such as the Dormition of Virgin Mary (on August 15th), one of Christianity’s most significant days and a public holiday in Greece. But quite literally, there isn’t a city or village anywhere in Greece that doesn’t have its own special festival. Some festivals date back to ancient times and a lot of the traditions and customs are still in practice, but there are also festivals celebrating modern art, music, dancing, and food that can be found year round — but peaking in the summer season. One of the biggest festivals held in Athens during the summer is the Athens & Epidaurus Festival, which hosts different events each year from June to September in many locations throughout the city. It is one of the most famous festivals in Greece, highlighting music, art, theatre, and culture. If you’re considering a visit to Athens in the summer, don’t miss the opportunity of watching a performance in the open-air theatre of the Odeon of Herodes Atticus, a stone theatre structure, located on the southwest slope of the Acropolis. The Athens & Epidaurus Festival hosts various events there during the summer and watching a performance under the night sky — and with great acoustics — is an experience not to be missed and the best way to dig deeper in Greek culture. If music is the food of your soul, then the Athens music festivals hosted all year round (and especially in summer) will cater for even the most discerning musical tastes. 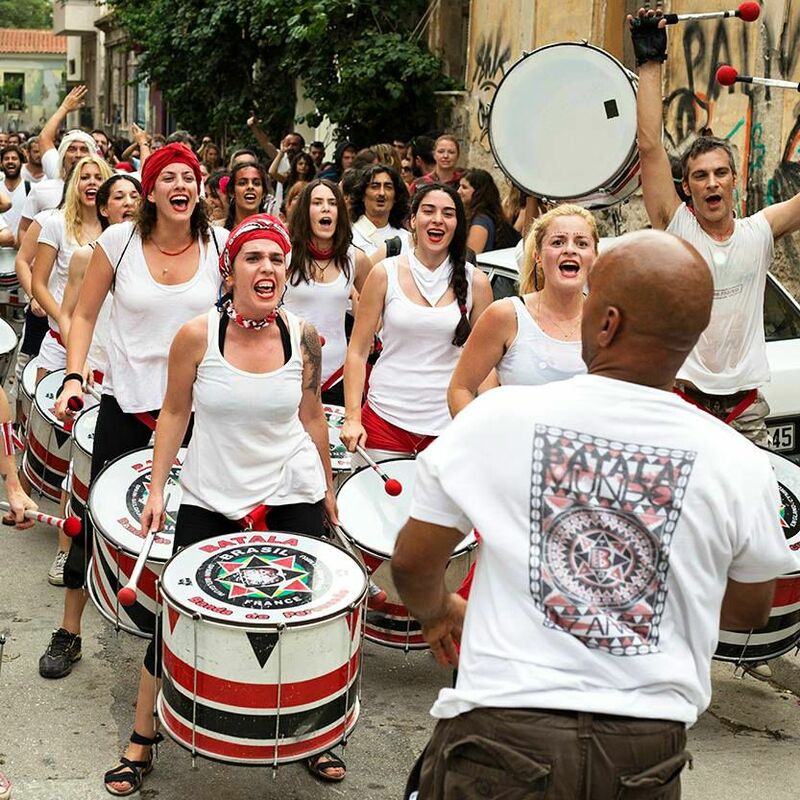 From world-famous artists to local new stars, from traditional sounds to world music, there is a wide range of events that will keep you dancing for hours. Some festivals have been going on for years but each season a plethora of new ones pop up, so it’s wise to keep checking online, or, if you have any special preferences, just ask us for the latest festival scoop. One of the most popular music festivals is Rockwave, a pop and rock festival held in Malakasa, just a few miles away from Athens. Celebrating its 20th birthday this year, Rockwave has staged some of the most famous artists and groups worldwide. It’s a meeting point for thousands of people every year and the lineup is always interesting. Another noticeable summer music festival is Plissken — a music festival that was only born in 2010 in Athens, but that has already hosted 130 international and Greek artists. It caters for a wide range of music, bringing together people of all musical tastes. If there is one festival we would urge you to experience, it would be the Panigiria or Panigiri. Panigiria are the celebrations hosted by a church community or neighbourhood in honour of the church’s saint name. Typically, they are held on the eve of the actual name day and some panigiria will go on for two or three days. Even though they are religious celebrations, locals still gather there to meet, dance, eat, and shop. Local vendors set up shop and musicians perform. They are embraced by all generations and visitors are always welcome. A panigiri is a celebration not to be missed while you are in Greece in the summer. Also, because the majority of the Greek churches are named after a saint, it shouldn’t be difficult to find at least one celebration happening while you are in Athens. A new festival that we love and that transforms Athens into an open-air cinema is the festival with the same name. The Athens Open Air Film Festival attracts all cinema lovers and showcases a selection of various films. From well-known productions to upcoming masterpieces, you can take it all in with Athens’ best locations as a backdrop. The festival runs from June until September in central areas of the city but also in surrounding neighbourhoods, giving locals and visitors an opportunity to discover new magnificent locations and venues. The festival even received an excellence in tourism award for 2015, so we’re sure it won’t fail your expectations. Headed to Athens? Let us show you around the city on one of our locally led Athens tours!